Too busy to blog? 7 ways to blog more – how to make more time for blogging and find inspiration. 7 mistakes that lead to guest post failure – things to avoid if you want to have a successful guest blogging career. 9 ways to spice up any blog post fast – great tips on how to give that blog post a little something extra. 17 blog archive examples – a look at good (and not so good) blog archives and how you can create one for your site. 101 resources to help you become a better blogger – huge list of blogging resources. How to write a free report that lands you thousands of new subscribers – great tips on creating content to build your mailing list. 9 ways to start a new local business using Facebook, Twitter, Groupon, and Google – it’s not as expensive as you think to start a local business with the right online resources. How to turn your passion to profits and create your online empire – a great book review that will help you turn what you are passionate about into an online business. 5 reasons why your online presence will replace your resume in 10 years – I personally think it’s already happening, thanks to LinkedIn and other online resume / portfolio networks. How to create a profitable Facebook ad campaign – a nice run through of the right settings to setting up a successful Facebook ad. How to find job satisfaction – the benefits of job satisfaction, and five ways to find it. The greatest discover of all: getting to know yourself – includes a great mini-guide on how to get to know yourself. 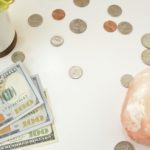 How to internally align with financial abundance – how to clear our minds to see opportunities to gain financial abundance. 6 tips for work / life balance for people with big dreams – how to have it all and not burn out. A love letter to you: what is your life purpose? Who do you think you are, and what do you think you want? 5 free tools for competitor keyword research – want to target more keywords in your SEO campaign? Check out thse tools that will help you find the keywords your competitors target. How to rank #1 in Google – lots of great SEO resources all jammed into one post. The SEO industry needs to grow a pair – a look at the commentary on the fallout of the JC Penny / Overstock outings. SppyFu Recon Files – start showing real SEO value wiht this new tool (don’t miss the free example report to see just what you’ll be getting). i’m ranking, so where’s my traffic? Answers to a common question about why your rankings are not getting you traffic. Essential guide to Facebook pages changes – lots of great information plus screenshots with guidelines on what you can do with the new Facebook. How to double your retweets in two days – includes a helpful chart with a “sweet spot” for when to tweet. 7 annoying social media personality disorders – the same kinds of people you don’t like in real life are online too. Brilliant bloggers talk about Klout – a roundup of great articles about social influence and Klout. TwitterCounter: Strategy to increase followers – looking to grow your Twitter network? Try this tip! 22 hot new social media tools worth exploring – a collection of social media applications, services, and resources from the Social Media Examiner contributors. I get a lot of random review requests in my inbox, and sometimes, depending on how busy I am, they get a little lost in the pile. One that did catch my eye was from Jered of PlugChug Blogging Solutions. I hadn’t heard of him before, but he had heard of me through his partner, Jean Sarauer, who created Virgin Blogger Notes. Because she was a great blogger (who has since moved on to bigger and better things), I thought this would be a great product, so I took the time to read it. The real value of this eBook is the last part – the toolkit. There are 28 tips, a checklist, and a 5 step headline worksheet to help you construct the best headlines for your posts, plus an additional 175 ready-to-use headline formulas. Just rework them to fit with your niche and you will have a killer headline! This eBook is only $27, which is quite a good deal for the amount of content they provide. As a bonus, you will also get monthly headline training updates in the form of video, as well as a one on one email session with the main author of the book. Definitely one to checkout if you have trouble writing great blog post titles (like I do). Yes I am in a kitten kick right now. Here’s another video that should have you going ooh and awww. I’ll get to puppies one day for all of you dog lovers soon!